The long drawn out cat and mouse game between Apple and those looking to liberate iOS from its walled garden continues. Italian developer Luca Todesco, who is generally more commonly known via his @qwertyoruiop Twitter handle, has managed to jailbreak iOS 9.2.1 and posted a screenshot of Cydia running on the iPhone 6 to prove that it was up and running on his device of choice. Of course, it feels a little bit like “with one hand giveth and with the other taketh away” as the accompanying tweet claimed there’d be “no releases”. While Todesco’s tweet that accompanied the screenshot of Cydia running on his iPhone 6 may have claimed “no releases”, it at least shows that iOS 9.2.1 is still very much exploitable. 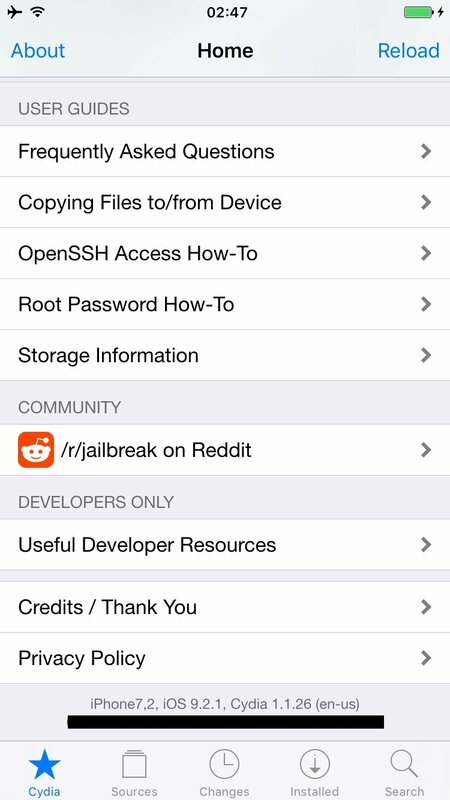 Cydia running on jailbroken iOS 9.2.1 on an iPhone 6. The very mention of “no releases” has been enough for some individuals to throw their arms up in the air and vent frustration via direct replies to that particular tweet. However, considering iOS 9.2.1 is still in betas, there’s still a chance that we could see a public release when it is eventually deemed ready for showtime by Apple. There’s nothing to suggest that Todesco hasn’t found a vulnerability, exploited it and plans to pass that on to other teams to produce a publicly consumable jailbreak package. The Italian developer actually has previous form when it comes that kind of input into a jailbreak. He may not have been explicitly mentioned or part of any publicity, but he did actually have a fairly significant input into the production of the Pangu9 jailbreak that Apple patched with iOS 9.1. He also worked on iOS 8.4.1 jailbreak, which while never became available in the form of an easy-to-use tool, Todesco did release the source code for it on GitHub. A lot of developers and security researchers are purely interested in finding the holes in the system. They then leave it up to someone else to produce the software that delivers the payload capable of exploiting those holes. We can only hope that it’s the same this time around. There is of course a large number of doubters who contest the legitimacy of the screenshot of Cydia running on iOS 9.2.1. In an attempt to combat those naysayers, Todesco has also posted a screenshot of the kernel dumps for iOS 9.2.1 in an attempt to show it’s the real deal. As always, we’ll bring you more on this one as soon as it develops. Stay tuned. do you get joy out of this? The sheer amount you comment here is like, ridiculous. Maybe you should worry about your life? So, if the news are out, won’t Apple plug the holes in next beta ? While true that Apple won’t fix the hole or holes before a public release. Technically Apple can find the holes and fix them. It’s not like the jailbreak teams are the only people who have the knowledge to find them. Save them ‘sploits until 9.2.1 drops! This was already proven fake by Luca himself. So why haven’t you updated this yet? Redmond Pie gets worse every day. Your mom gets worse everytime she gives head. No progress. Lame. Another POS post claiming 9.2 public jb is available when it is not. 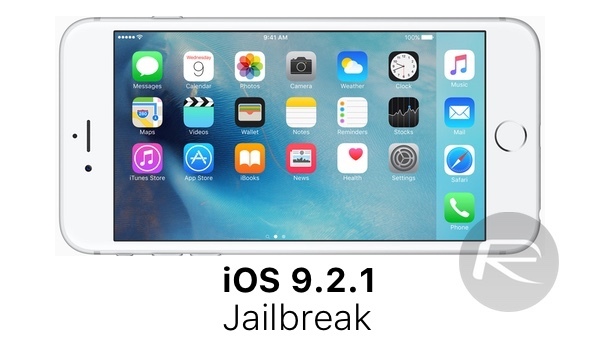 “Since Apple is still signing iOS 9.2 firmware, you may want to downgrade to it now from iOS 9.2.1 while you can. Rumor has it that Apple has patched some important exploits in 9.2.1, which probably means that next jailbreak (whenever released) might be compatible up to iOS 9.2 only.” Would it be reasonable to believe that our friend Luca informed Apple about the exploits (for a nice lump sum, that is :), for which I don’t blame him, to be clear) so they patched them in 9.2.1 and 9.3? This article does not claim a public jailbreak is available. Stop complaining, you ungrateful leech. So anyone who questions when the jailbreak is coming out or is tired of article after article discussing a jailbreak without there being one is an ungrateful leech? There isn’t one stop asking!